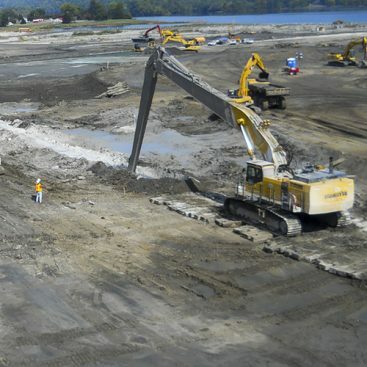 This project required the extension of an in-place groundwater barrier system installed by the deep soil mixing method to control and contain tritium contaminated soils at one of the federal government’s largest environmentally impacted site. The Savannah River site has undergone numerous remedial actions over the years to contain radiological, chemical and mixed waste streams. Geo-Solutions worked under the oversight of Savannah River Nuclear Solutions and the US Department of Energy to finish this high level project. All of the work was conducted inside of a high security zone within the facility. All Geo-Solutions’ personnel were required to undergo background checks and pass extensive training requirements in order to work on the facility. 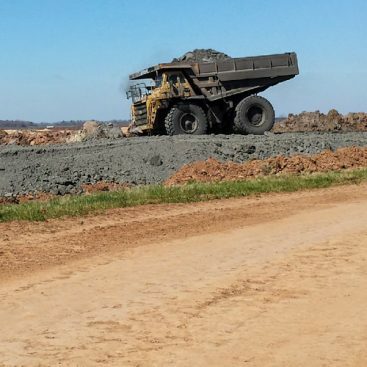 The project required the installation of approximately 1,400 linear feet of low permeability underground barrier consisting of indigenous soils blended with Impermix® grout. Impermix® is a proprietary blend of slag cement and attapulgite clay that once installed, exhibits very low permeability and high strength. 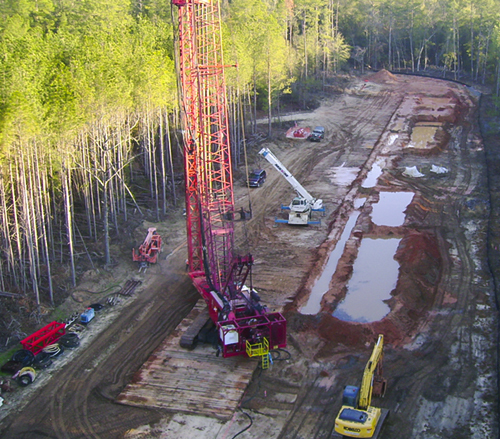 The project was completed utilizing Geo-Solutions’ crane mounted four-auger drill rig assembly. 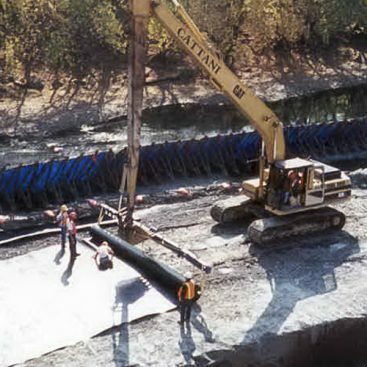 The unit is capable of installing individual barrier panels to depths exceeding 100-feet at widths over nine-feet. The panels are overlapped slightly to create a continuous barrier. 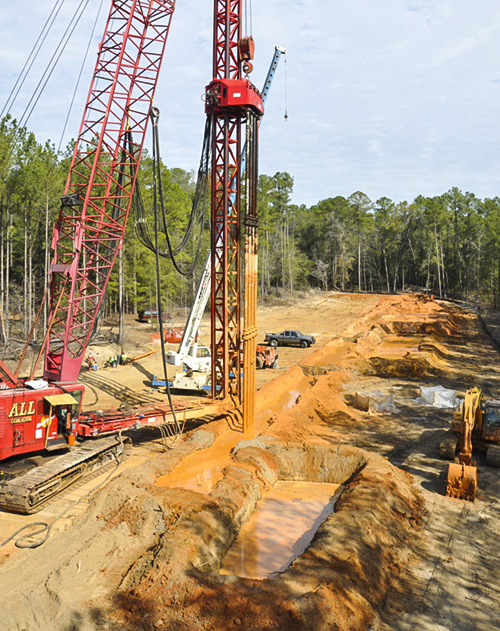 Drilled panels at the Aiken site were installed to 70-feet below the ground surface. 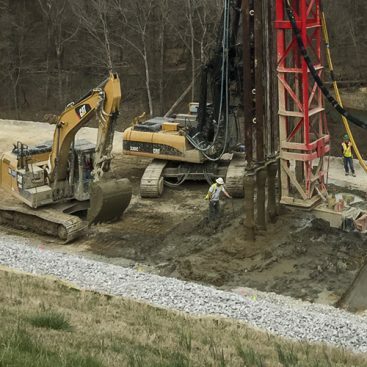 The four auger rig is equipped with a Jean Lutz drill monitoring system that continuously records drill parameters including verticality, rate of descent, grout flow and auger rotation speed. Geo-Solutions’ Health and Safety department maintained oversight of methods and personnel throughout the execution of the project. Drilling was completed in under four-months without incident or accident. Field personnel utilized our in-house Quality Assurance program to successfully document progress and provide the Federal Government with complete documentation of the installation. Control and contain underground water flow via the installation of low permeability barriers. Provision of an underground barrier with an average strength of 50psi and a minimum permeability of 1 x 10-6 cm/sec. All of the work was conducted inside of a high security zone. Enacted a full quality assurance program throughout site. soil-mixing work took place under extremely stringent security measures.